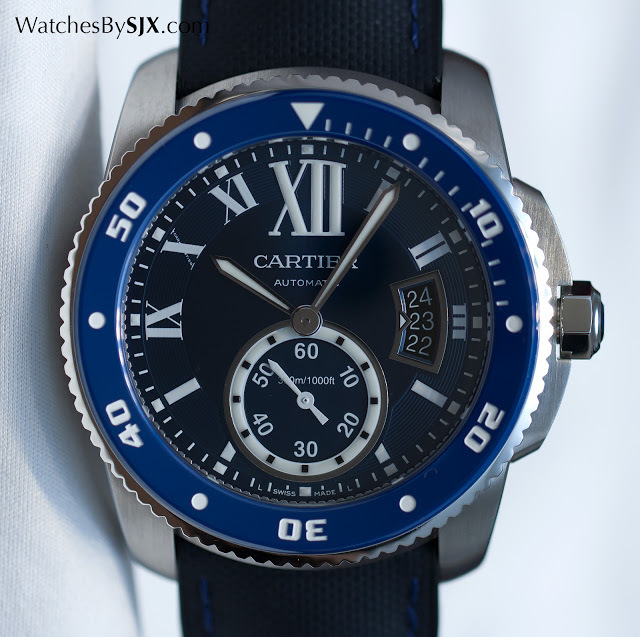 With lots of affordable watches and a sprinkling of high-end complications, Cartier had something for everyone at SIHH 2016, with its flagship Drive de Cartier managing to be different yet traditional at the same time. Here’s all you need to know, complete with original photography and prices. 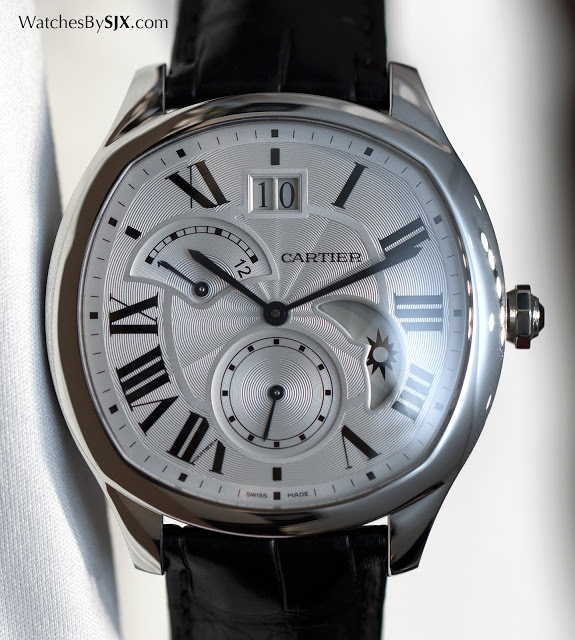 Like many other brands at SIHH 2016, Cartier‘s offerings went back to basics, or more specifically, back to its roots. 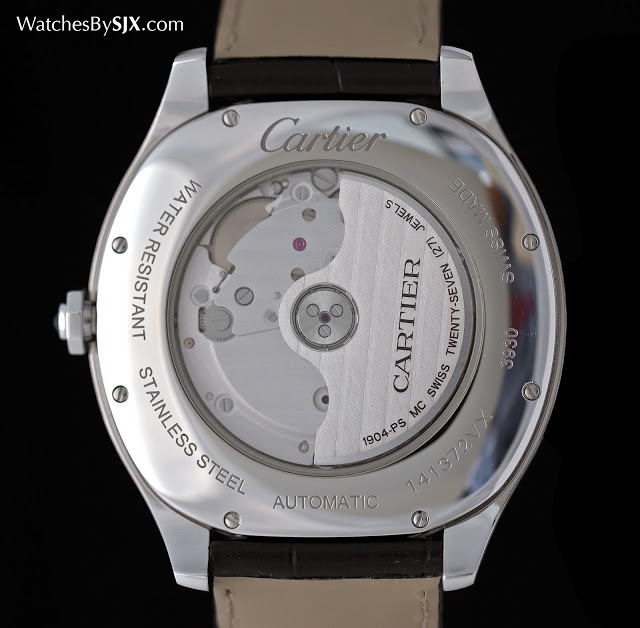 Much of its line-up was instantly recognisable as Cartier, including the newly designed, cushion-shaped Drive de Cartier. 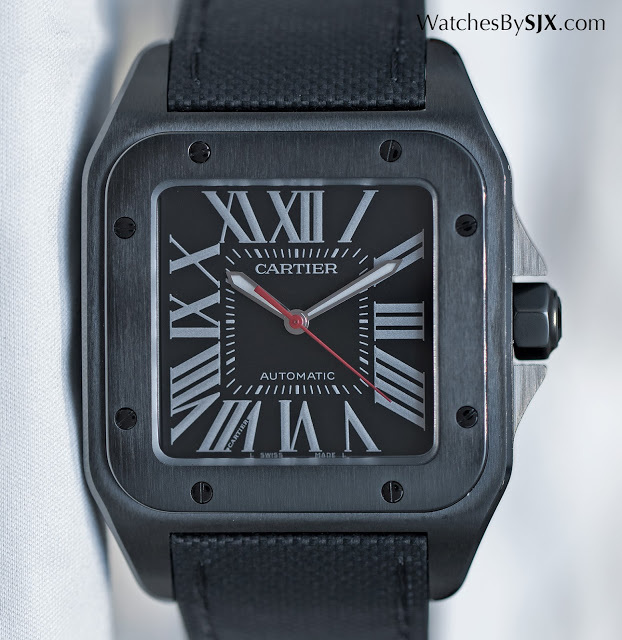 Even the watches with a more modern bent, like the Santos 100 Carbon, will please traditionalists. 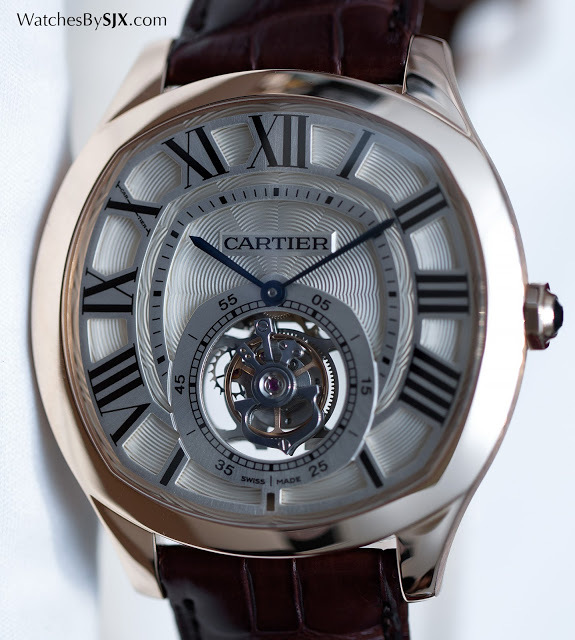 Cartier already revealed its high horology Fine Watchmaking timepieces prior to SIHH 2016, including the Astromysterieux central mystery tourbillon, Cle de Cartier Skeleton, Crash Skeleton in pink gold, as well as three complicated timepieces for ladies. 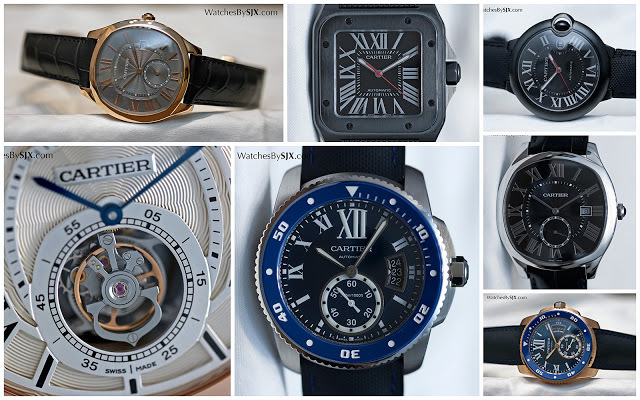 In contrast, the bulk of the new watches shown at SIHH 2016 were of the more affordable variety. 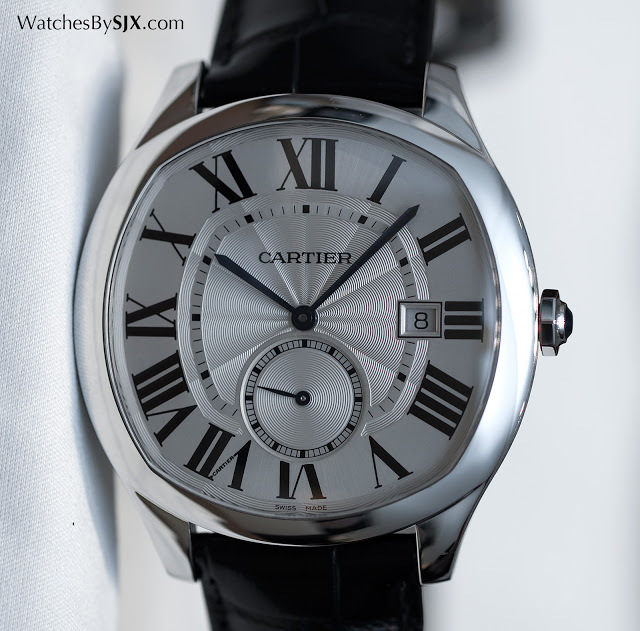 Being both new, affordable and attractive, Drive de Cartier is the major product for the year, being a new case shape for Cartier, but nonetheless a familiar one. 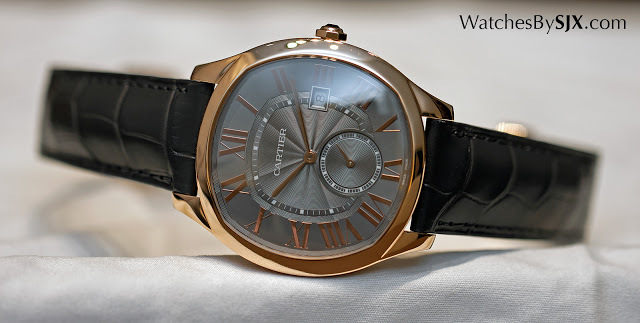 A cross between a cushion and tonneau (or barrel), the Drive is a large but elegantly proportioned watch. Immediately appealing for its quiet, classical style, the Drive has a clean, rounded form that’s 40 mm in diameter, while being relatively slim. It’s mirror polished front and back, with brushed sides. 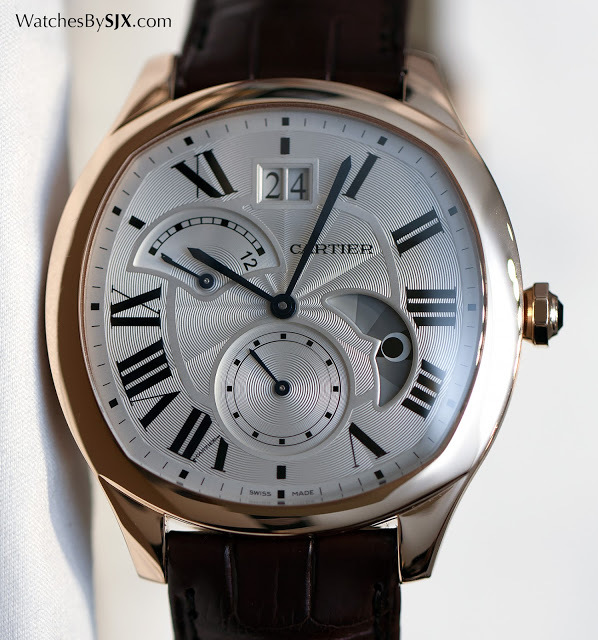 Three Drive de Cartier models are available, all equipped with in-house movements. 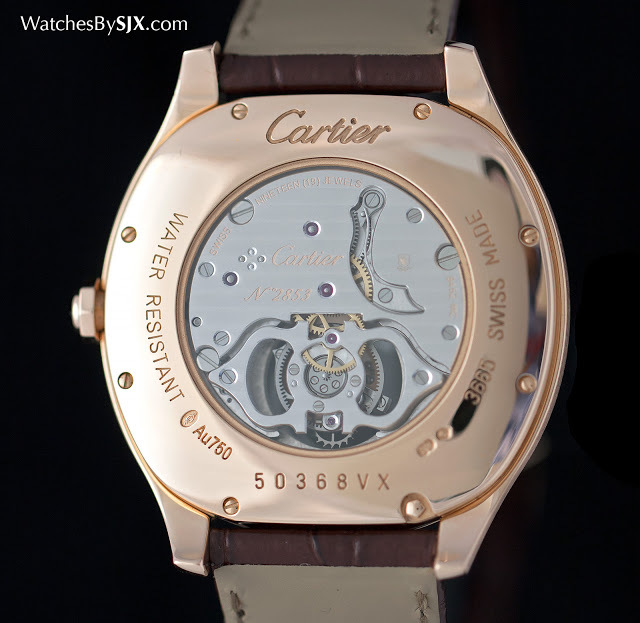 The basic is the automatic with date, equipped with the calibre 1904 MC. The date window does spoil the lines of the dial somewhat, but the overall aesthetic is still pleasing. Both of the dark dial versions (black on the steel and grey for the pink gold) are unusual as they have metallic finish printed numerals. 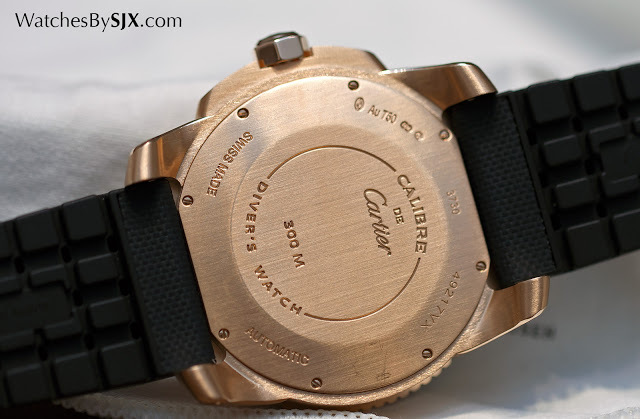 This is only available in pink gold or stainless steel for now. 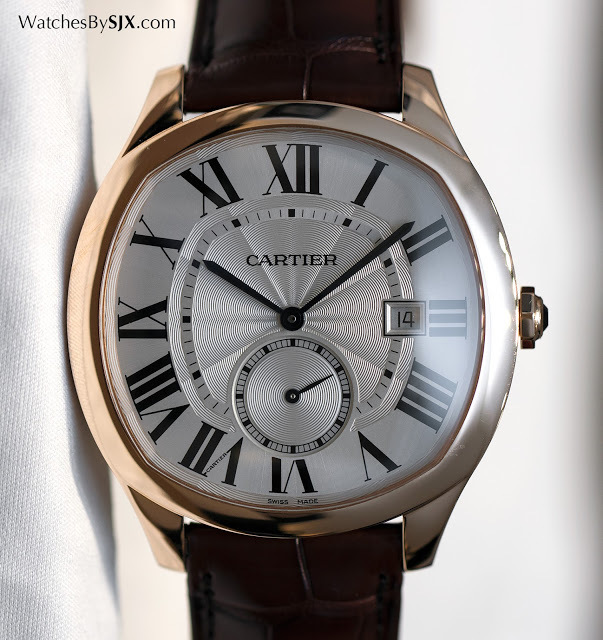 Price-wise Cartier has kept it modest: the Drive automatic costs about €5000 in steel and €15,500 in pink gold, excluding taxes. 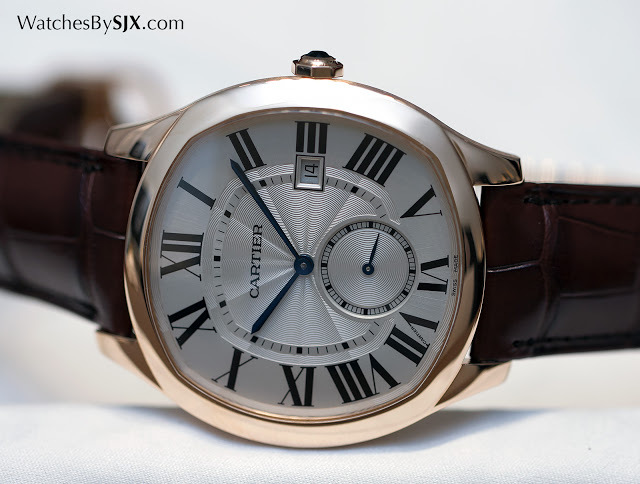 A bit fancier is the Drive de Cartier Second Timezone Day/Night, which has inside the same 1904 MC movement, but with the addition of a module on top for the second time zone display. This takes the form of a fan-shaped, retrograde scale at 11 o’clock that is linked to the day and night display at four o’clock. An extra-large date display is at 12 o’clock. While this has increased functionality, it lacks the appealing simplicity of the time-only model. 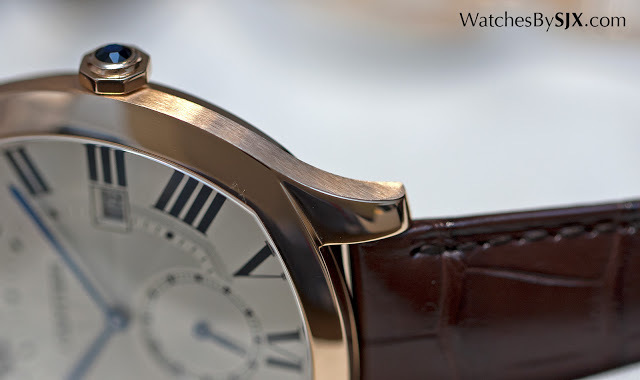 (For more on the movement, see our story on the Rotonde de Cartier with the same movement.) This is €7000 in steel and €18,000 in pink gold. 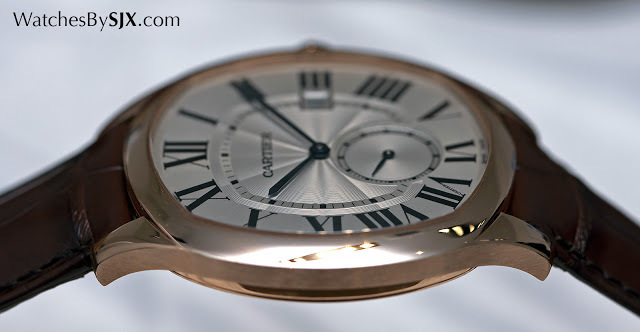 The top of the line model is the Drive de Cartier Flying Tourbillon. 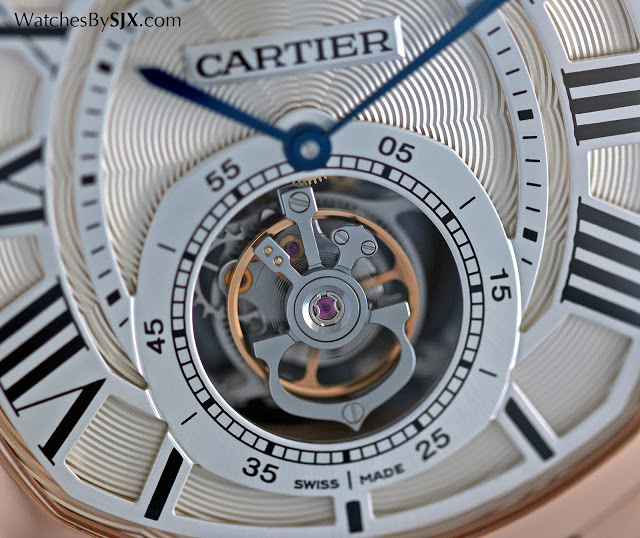 This has inside the hand-wound movement made at Cartier’s workshop in Geneva, a calibre originally derived from a Roger Dubuis movement. 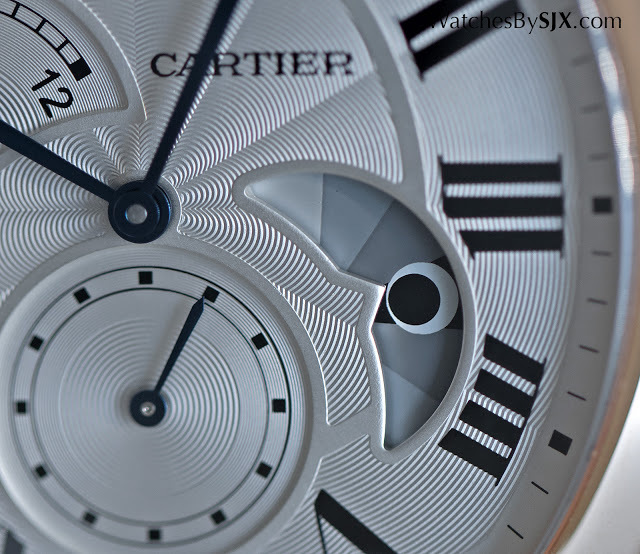 Like the other watches in the high-end Fine Watchmaking line, this has a two-level dial made up of a guilloche base and a raised track for the hour numerals and minute markings. 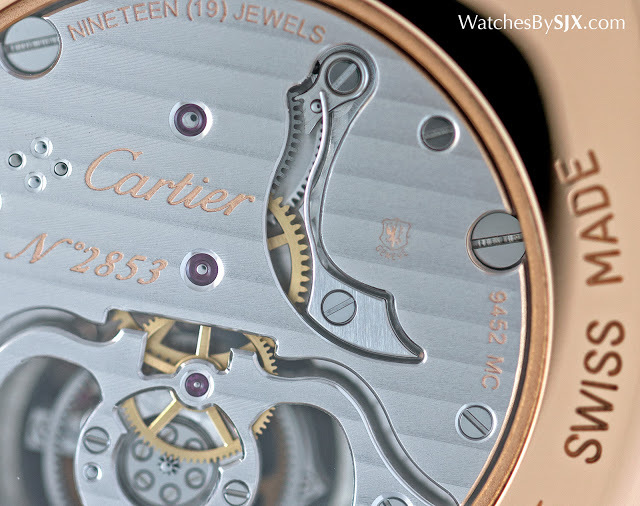 Hallmarked with the Geneva Seal and finished by hand, the 9452 MC movement is also found in most of Cartier’s other tourbillon wristwatches. The price for this has yet to be revealed, but expect it to be around US$110,000. 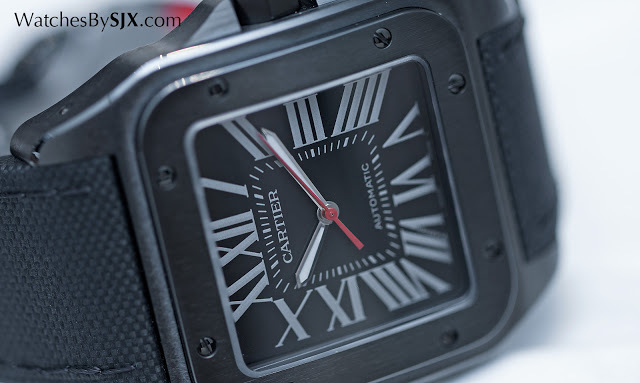 Cartier also unveiled a pair of watches with steel cases coated with amorphous diamond-like carbon (ADLC), a dark grey, scratch-resistant coating. 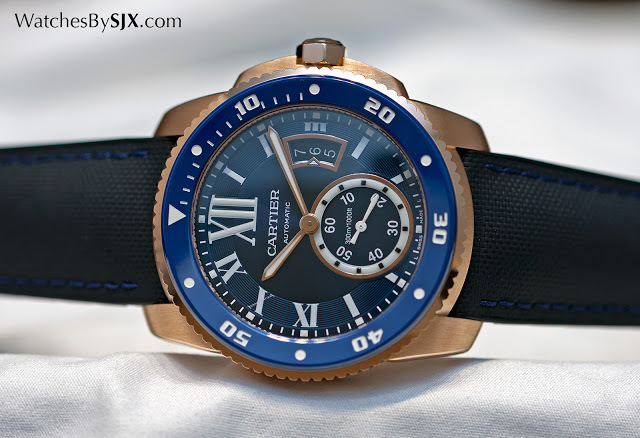 The Santos 100 Carbon is not exactly new, several years ago Cartier offered a line of Santos 100 ADLC watches that sold relatively well. The new Santos 100 Carbon, however, is strikingly monochromatic, save for a red seconds hand, doing away with the two-tone look of the earlier ADLC watches. 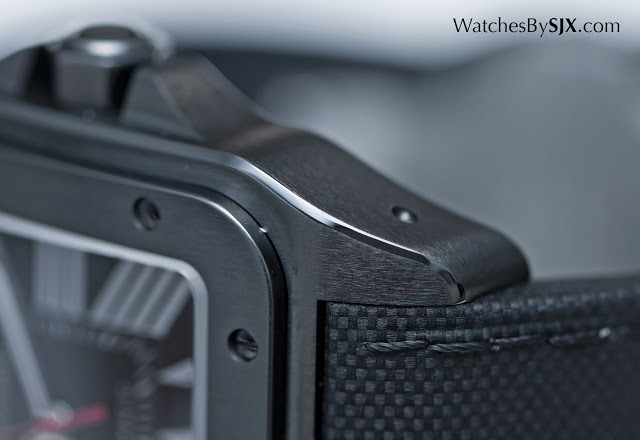 This is arguably an improvement, with the watch looking sportier and more fit for purpose. Case coating aside, the rest of the case is identical in size and shape to the standard Santos 100, with a case diameter of 41 mm. 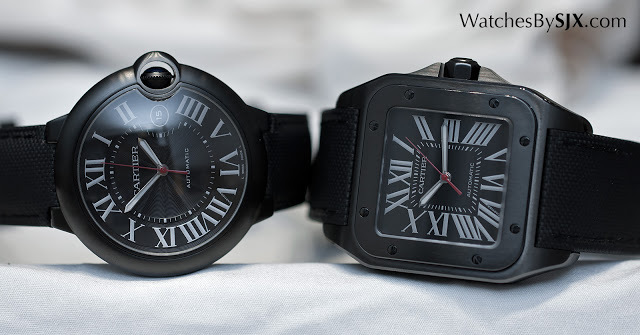 But there is one vital difference between this and all other Santos 100 watches, the new carbon model is equipped with the in-house 1847 MC movement, instead of an ETA automatic. 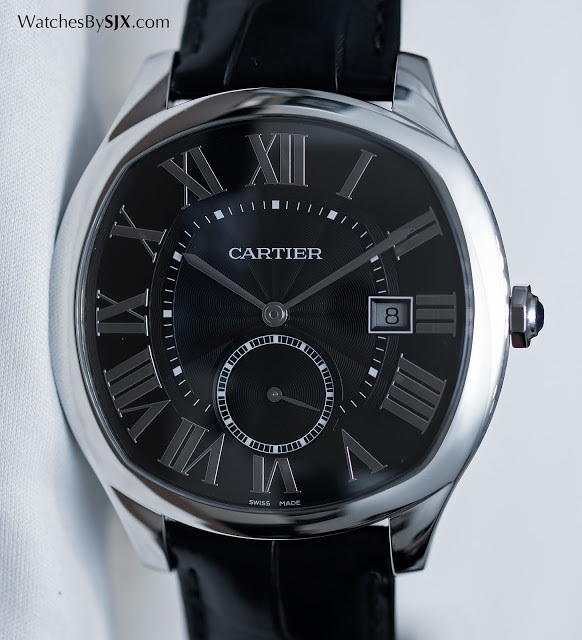 The 1847 MC is the brand’s entry-level, no-frills in-house movement that made its debut in the Cle de Cartier last year. This is priced at €6100. 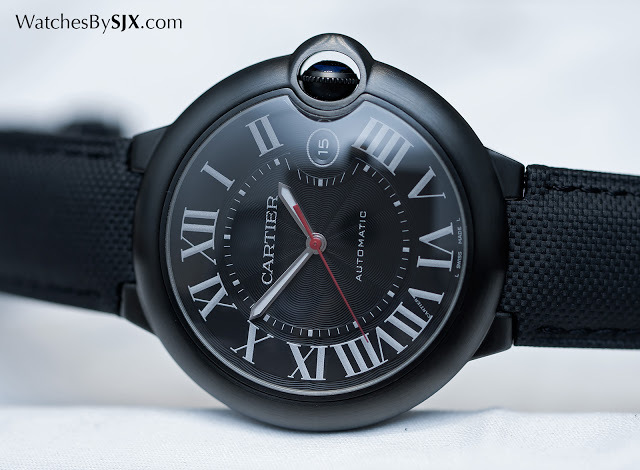 Also featuring the same ADLC case finish is the Ballon Bleu Carbon, which is also powered by the 1847 MC movement. This is 42 mm in diameter. 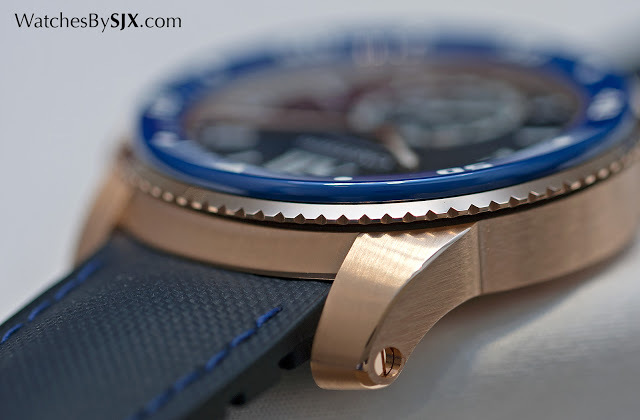 Though it’s finished in the same manner as the Santos 100 Carbon, the Ballon Bleu case lacks the fine detailing of the Santos case, most notably with the polished bevel that runs along the length of the case. Despite being very similar, the Santos 100 is significantly more appealing. 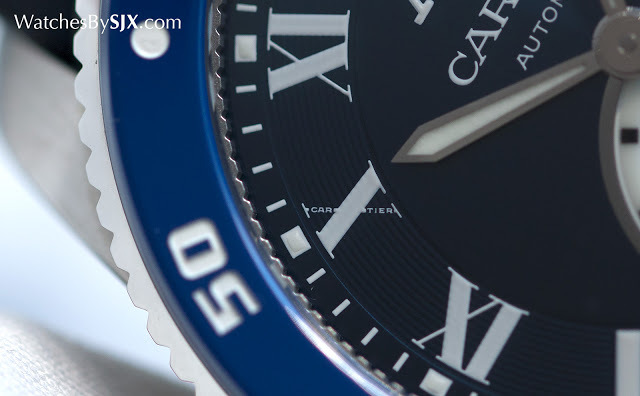 The last key addition for 2016 is the Calibre de Cartier Diver in blue. Originally available with a black dial and bezel, the face-lifted model features a metallic blue dial and a ceramic bezel insert one shade of blue brighter. The new colour goes some way in enhancing the casual, sporty look of the watch, especially on the rose gold version, which is the best looking of the bunch. 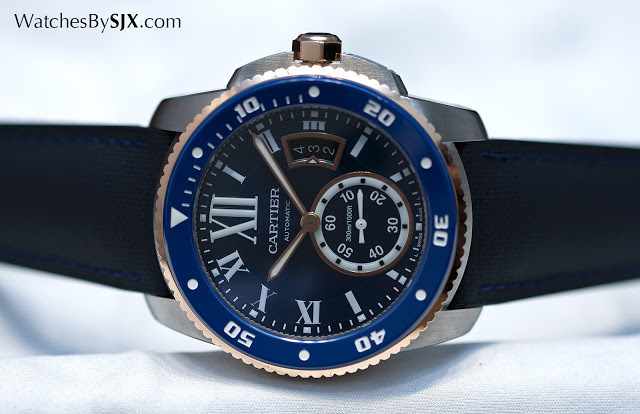 Colour aside the watch is identical to the original Calibre de Cartier Diver, with a 42 mm case that’s rated to 300 m.